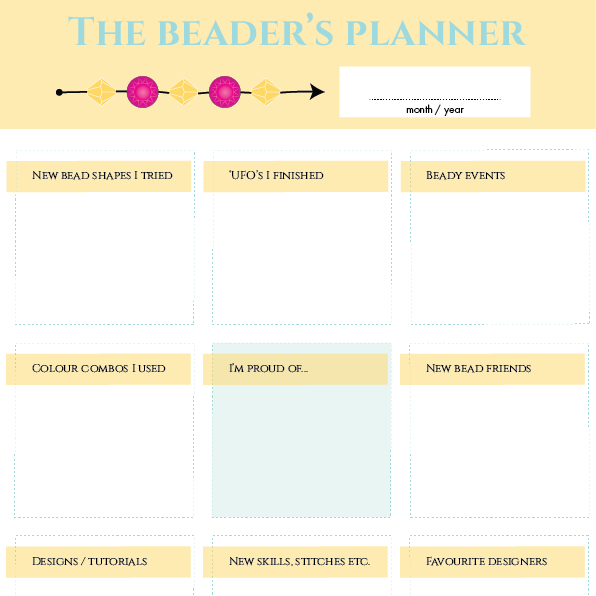 SKU: beaders-organisation-sheets. Availability: In stock Size: N/A Category: E-books. My New Year’s resolution for 2018 was to get more organised in order to get more beading done. I would also like to track what I’ve worked on and what did I learn. 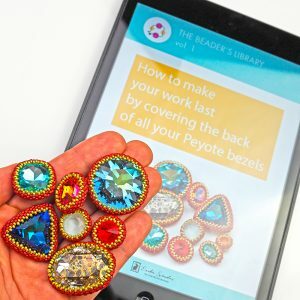 It’s also nice to remember the new beaders I’ve met (on a beading workshop or online), and to tap myself on the shoulder when I’m proud of something. To make this easier I designed two printable sheets. The first one helps to keep track of bead shapes and colour combinations I played with, events I attended, skills and new stitches I’ve learned. 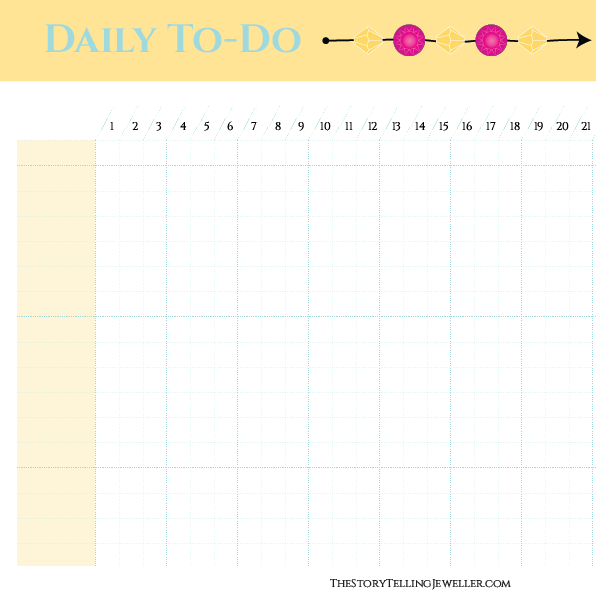 The second one is a daily to-do planner. 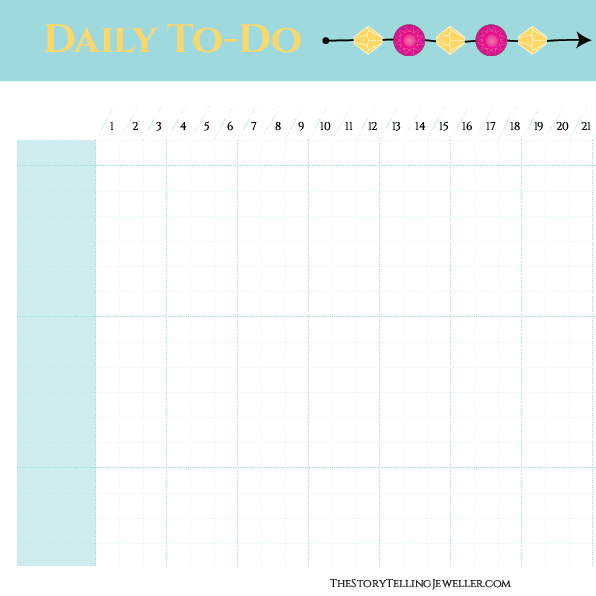 I fill in in the first column a list of things which I would like to do every day (or at least most of the day). In my case it’s beading, reading, exercising, posting to Pinterest and Instagram for example. 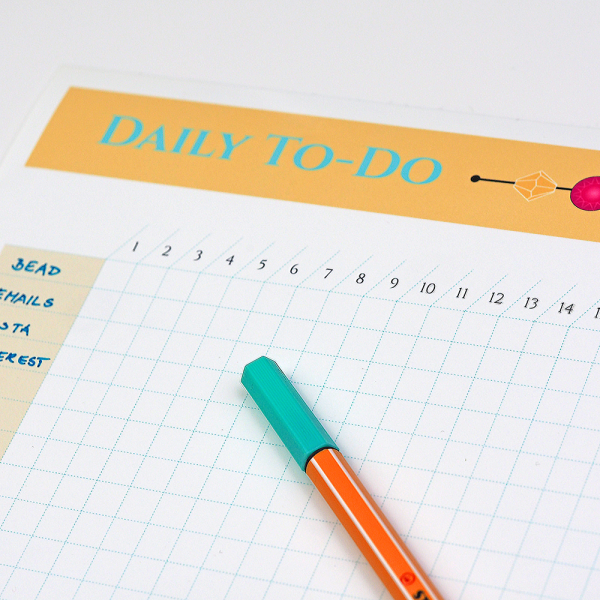 I tick off every day what I managed to do, so I see if I could stick to my plans. You can fill in un to 17 different activities. You will get the Beader’s organisation sheets as .pdf files, which you can print every month. They come in two colours: turquoise and yellow. 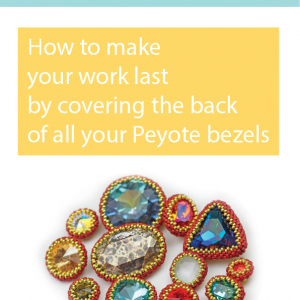 Have fun and enjoy more beading!